PHP Training Courses - Learn the world's most popular web programming language from the PHP Experts. Get PHP training from the basics, through cutting edge topics, and on to certification. Each course offers real-life examples and interactivity to provide a robust and hands-on php training experience, to sharpen your skills and add new development practices. Our PHP courses, Zend Framework courses, and Zend product courses are taught online with a live expert instructor which are scheduled in advance. Classes can also be taught onsite or in a classroom setting (availability based on geography). Note: After you have purchased your online training course, you will receive an email detailing the registration process. Designed for intermediate PHP developers, the higher structures class enables developers to further advance their professional skills in the PHP language and adopt industry best practices. It utilizes a hands-on approach led by an experienced instructor with numerous examples and practical exercises based on real life software development practices to enhance the hands on learning experience. Designed for experienced PHP developers who want to understand the principals of software architecture. This class introduces students to the tools and techniques used by enterprise-grade PHP development around the world. It covers concepts like using PHP from the Command Line, to building REST based APIs, and tools such as PHP's SPL as well as Docker. PHP course is designed to provide RPG programmers with a solid foundation in the PHP language. This course consists of the standard PHP I class sessions plus three additional sessions, taught by an IBM i expert, to cover the IBM i Database and Toolkit differences. Course has numerous examples and hands-on exercises, including substantial practice in coding parts of a functional application - an online inquiry app. PHP course prepares experienced PHP programmers for the challenge of passing the PHP certification exam and achieving the status of Zend Certified Engineer (ZCE). This is a test preparation and PHP review course – it does not teach PHP. The course will guide you through an in-depth review of all of the 10 major topics areas. Plus, it contains important information about the exam itself and strategies for answering the exam questions. Participants are challenged to test their knowledge with focused quizzes throughout the course. PHP course is designed to quickly build an experienced programmer’s understanding of PHP language. This course covers many of the same topics as both the PHP Fundamentals I and PHP Fundamentals II classes at an accelerated rate with special emphasis on the differences between PHP and other commonly used languages. This class utilizes a hands-on approach with numerous examples and exercises to hone your coding skills while utilizing best practices. is one of the most important things to keep in mind when developing web applications. Unfortunately, it is also one of the things most easily overlooked while developing. Reviewing thousands of lines of code is a daunting task - one that can be avoided if an application is developed with security in mind. This PHP training class presents a comprehensive overview of current security issues and is designed to equip PHP developers with the knowledge they need to build more secure web applications. Zend Framework Fundamentals course is designed for beginner to intermediate PHP developers who have a good working knowledge of the PHP language and object-oriented programming (OOP). You’ll be introduced to the fundamental concepts that make ZF such a powerful tool to create web applications that can be rapidly developed and easily deployed. And you’ll learn how to leverage the power of ZF to build well-designed, scalable, and secure web applications quickly and competently. Zend Framework Advanced course is designed for proficient PHP programmers, already familiar and working with ZF, who want to take their knowledge to the next level by learning how to apply best practices when configuring and building applications for modularity, scalability, interactivity, and high performance. The course is designed around a series of practical use cases, guiding the developer in using ZF to develop applications and APIs which are more robust, streamlined, and secure. Zend Framework Master course is designed for proficient PHP programmers, already familiar and working with Zend Framework, who want to polish their skills and incorporate cutting-edge ZF technologies into their applications. The course is designed around a series of practical use cases, guiding the developer in using ZF to make their code streamlined, secure, and interoperable with other frameworks. Zend Framework 2 course prepares experienced developers who design and build PHP applications using ZF for the challenge of passing the certification exam and achieving the status of Zend Framework 2 Certified Architect (ZFCA). Please Note: This is a Test Preparation course it does not teach ZF. It utilizes a special review format for presenting the material that mimics the exam experience. Class includes one exam voucher. 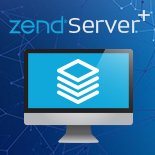 The Zend Server Training Course provides an in-depth look at Zend Server: the complete, enterprise-ready Web Application server for running and managing PHP applications that require a high level of reliability, performance, and security. 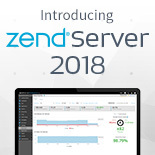 This course is designed to provide System Administrators / Operators (or individuals who fulfill similar functions) with the knowledge and confidence to successfully utilize Zend Server in their critical role of providing a stable, secure, and robust server environment to both internal and external users. The Apache course gives you a deep understanding of how Apache operates and what it's capable of doing. You will learn how to build a secure, finely-tuned, and high-performance Apache installation and gain a deep understanding of what key Apache modules are available and how they are installed and configured to improve your websites. You will also learn about common dangerous web server attacks and how to protect against them. Find the answers to all your PHP and ZF Training questions. Or browse the course schedule. 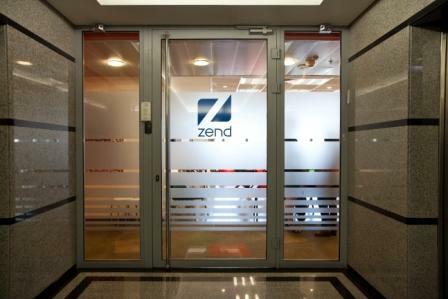 For a classroom environment or localized delivery, use the Zend Authorized Training Partner Directory. I'm really enjoying the class .....compared to just buying a book.....this is a far more engaging way to learn. Zend's instructor-led online PHP training courses will help you learn PHP quickly and easily. Relevant exercises are integrated throughout the curriculum allowing students to apply their newly learned PHP skills. Note: All participants are registered as space permits or at least 24 business hours prior to scheduled start of the course. Our product training courses are offered in a classroom setting. These comprehensive, experiential courses are taught by a Zend PHP expert, and include product and course material for each participant. Onsite training services are a good fit for teams of 5 or more who need to be trained at once. An experienced Zend professional will bring Zend's knowledge of PHP, PHP applications, and Zend products directly to you.